I just finished a fun new set of social media icons. I really enjoyed making these icons, mostly because I absolutely love these colours and how well they work together! 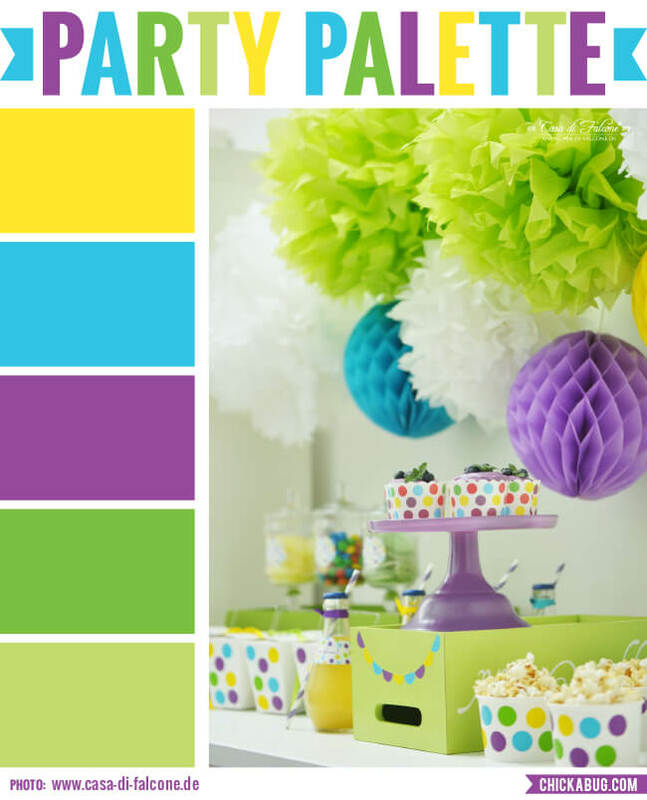 I found them in a colour set called "Party Palette" over at Heather's site, The Chickabug Blog. This is a new style of icon I'm trying out. As you can see, the edges aren't perfectly smooth. Instead I gave them a chalk pastel look. What do you think? I think it gives them a little more life and whimsy, but I'll have to wait and see whether others feel the same way. If you're in the market for some new social media icons, be sure to head over to either my ETSY SHOP or my TEACHERS PAY TEACHERS SHOP. As usual, you get 25 icons (including a blank one) in two sizes and all 4 colours for $3. The 50 px size is meant to be used on a blog or website (they're quite small) but the larger, 400 px size is perfect to use on teacher product pages. They could also be easily downsized and used on business cards, too. They're 300 dpi so they look great on either the web or printed out. Although please keep in mind that different printers render the colours a little differently. Have a fabulous Saturday! 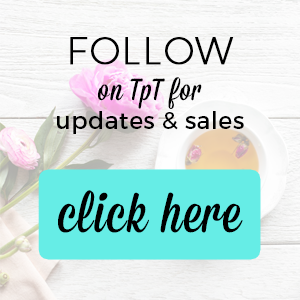 And be sure to subscribe to the blog if you'd like to receive email notices of new products, posts and freebies. 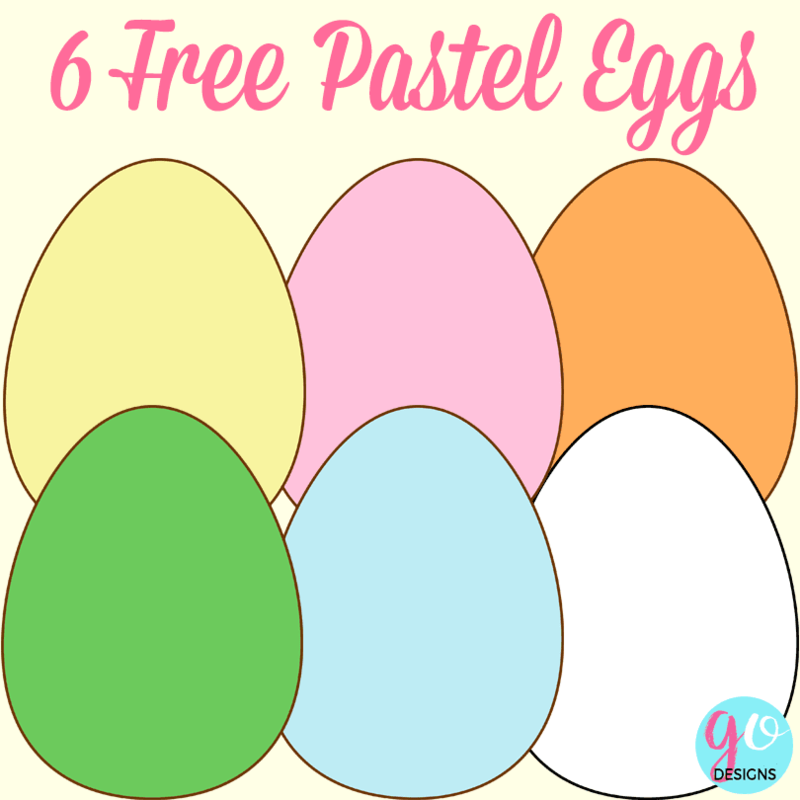 I have some free Easter egg clipart for you! 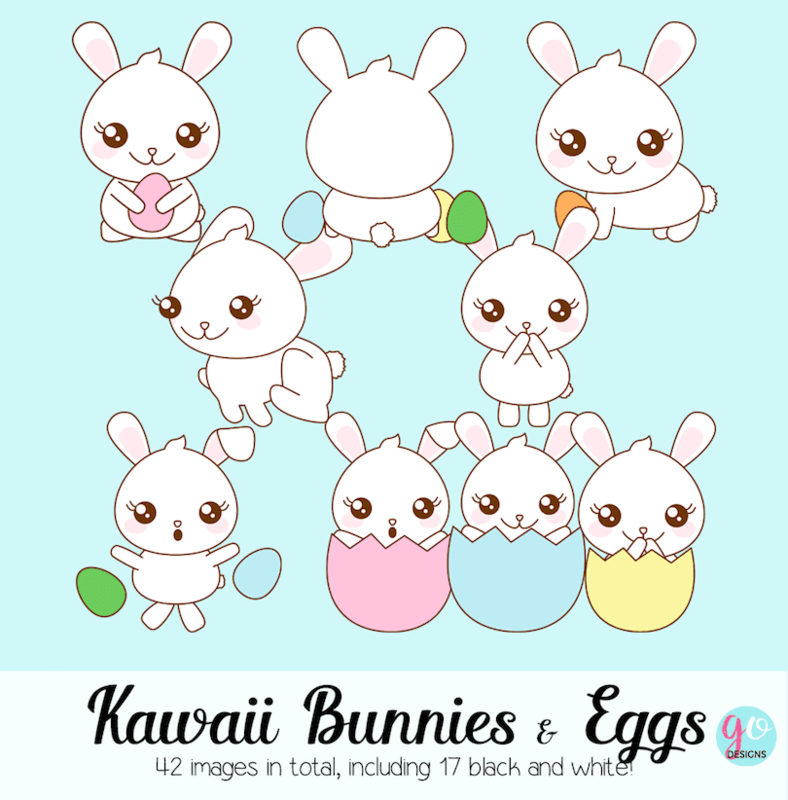 These eggs are part of my new Kawaii Easter clipart set. For $4 you'll receive all the bunnies you see below, plus a variety of eggs. Many of the eggs even have those cute little faces on them. In addition, there's a black and white version of everything! You can find the bunnies and eggs in my ETSY SHOP. But if you prefer to shop on Teachers Pay Teachers, they are there, as well.